Preface This present book is for the students of Post Graduate, Degree and Polytechnic level of students of Aeronautical, Bio-technology, Chemical, Civil and Mechanical engineering of major universities of India and abroad. In this edition more emphasis has been given on dimensional analysis and problems solving. The fluid flow is required course in every undergraduate and polytechnic program of the universe. The book have sufficient knowledge of fluid flow operations and face the challenges ahead. The focus is on making students aware with the computational technique from the start of fluid flow dilemma. 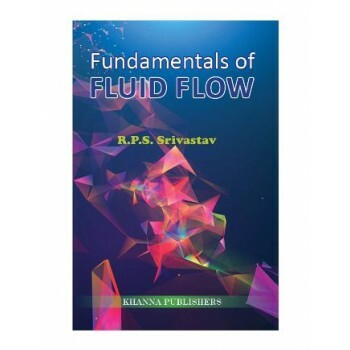 The main objective of this comprehensive and up-to-date textbook is to offer the fundamental of fluid flow which is basis for understanding complicated problems of heat and mass transfer. The suggestions, if any improvement in the style and content of the textbook, correction of errors will be greatly appreciated from the readers and will be incorporated in future edition. Table of Contents *Introduction *Stresses Acting on Fluids *Static Fluid *Pressure Measurement *Fluid Dynamics *Metering of Fluids * Dimensional Analysis *Basic Equations for Fluid Flow *Transportation of Fluid *Compressible Flow *Turbulent Flow and its Measurement *Boundary Layer Thickness *Multiple-Phase Flow *Flow Past Immersed Bodies *Pipe Line Design *Multiple Choice Questions with Answer *Problems with Solution *Problems to Practice *Appendix (Fundamental Units, Derived Units, Physical Constant, Dimensionless Groups Pertaining to Fluid Flow *Weight of Some of the Materials *Bibliography.